According to this judgement, an accused may demand that his or her trial be held in the official language of his or her choice. In this decision, there is important dissenting opinion by Justice Bastarache, which modifies the instructions pertaining to the interpretation of language rights. Beaulac is accused of murder in British Columbia and asks that his trial be held in French. The Trial Court is not able to find a Francophone judge or jury. Beaulac goes as far as the Supreme Court to defend his right to a trial in French. In criminal cases, does an accused have the right to a trial in French, even if said accused speaks English perfectly well? This case concerns section 23 of the Canadian Charter. For the first time, the Supreme Court of British Columbia applied the notion of "variable number" of children entitled to section 23 Charter rights, an approach developed in Mahé v. Alberta (http://odl.openum.ca/en/jurisprudence/provinciale/alberta/). The Court declares British Columbia's duty to ensure that instruction is provided in the minority language, where the numbers so warrant, by funding educational facilities that are accessible to the linguistic minority. 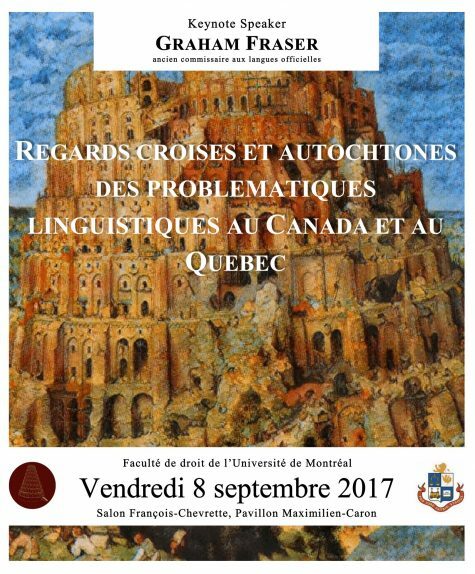 The plaintiffs claim that the government and the Minister of Education have breached their obligations under section 23 of the Canadian Charter by not funding French language educational facilities and transportation sufficiently, as well as not assisting the Conseil scolaire francophone de la Colombie-Britannique, British Columbia’s sole Francophone school board, in some of its activities. Does section 166.25 (9) of the School Act violate section 23 of the Canadian Charter? Is the government funding granted to applicants under the Annual Facilities Grant in accordance with section 23 of the Canadian Charter? Does the government's policy on school transportation funding violate section 23 of the Canadian Charter? Are applicants entitled to space for early childhood education in the minority language under section 23 of the Canadian Charter? Is the funding of the educational facilities of the communities identified by the plaintiffs appropriate under section 23 of the Canadian Charter? If there are violations of section 23, are these justified under section 1 of the Canadian Charter? The Court applies the precedent Yukon Francophone School Board, holding that section 166.25 (9) of the School Act, which limits admission to schools of the Conseil scolaire francophone (CSF), is not contrary to section 23 of the Canadian Charter. The court holds that even though the CSF was burdened by the way the government calculated the funding to be granted under the Annual Facilities Grant, this practice is justified under section 1 of the Canadian Charter. In regards to school transportation, the court finds that the lack of funding for school transportation for the francophone minority violates section 23 and thus orders the payment of 6 million dollars in damages. Moreover, the Court holds that section 23 does not guarantee the right to facilities for early childhood programs in all the schools mentioned by the plaintiffs. Finally, the Court finds that the Government of British Columbia has breached certain obligations concerning the funding of French language educational facilities and declares the violations of section 23 to be unconstitutional. The Court also directs the government to create a Capital envelope specifically for the CSF of British Columbia and to assist the CSF regarding transfer and negotiation of educational facilities sites. The Supreme Court rules in favour of the accused. It is possible to force the Court to hold a trial in French even if the accused is perfectly bilingual. The Court also declares that the right to a trial in one of the two official languages is a fundamental right and it is up to the individual to choose the language of the trial, whether or not it is his or her mother tongue. Subsequently, this principle will be enshrined in section 530 of the Criminal Code. In this judgement, there is an important obiter by Justice Bastarache, which reversed the “1986 trilogy”. The judges state that, henceforth, language rights should receive a broad interpretation rather than receive the narrow interpretation the Supreme Court had previously been applying. In this decision, the Supreme Court summarizes and expands upon the concepts analyzed in Mahe. However, the judges in this case indicate that there is to be true equality between public facilities of both the majority and minority language. The Rose-des-vents School is a French public elementary school. The school is overcrowded and the number of newly registered students is increasing. Moreover, the bathrooms are inadequate, the library is very small, and the administration is looking throughout the building for a space that is more accessible. This reality is totally different from the neighbouring English schools. The Ministry of Education of British Columbia denies there are problems at the facility and states that the troubles are the responsibility of the school board. With this backdrop, parents of children attending Rose-des-vents file a suit against the School Board and the government of British Columbia seeking to declare that educational services in French must be equivalent to those of English schools in the same area and any inequality would constitute a violation of the language rights guaranteed by section 23 of the Canadian Charter. The Supreme Court begins with an analysis of the origin, the purpose, and the scope of the provision in question. This analysis, which is both general and precise, is based on the teachings of Mahe, Re: Manitoba Public Schools Act, Arsenault-Cameron, and Doucet-Boudreau. According to the judges, reasonable parents would be deterred from sending their children to Rose-des-vents School, as it is truly inferior to the neighbouring English schools. In addition, the Court takes the position that without a doubt, the number of Francophone students enrolled in the school demands that the highest level of services be provided, and that said services must be equivalent in nature to those offered by English schools in the area. The appeal is accepted and the declaratory judgement of the trial judge is reinstated. This content has been updated on 29 March 2017 at 12 h 41 min.